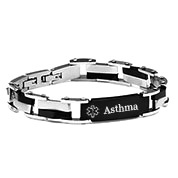 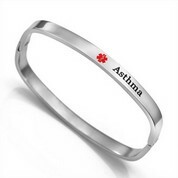 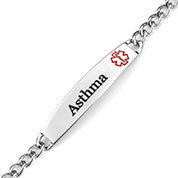 Shop our custom asthma jewelry section for an engraved asthma bracelet you can call your own. 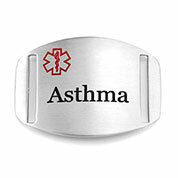 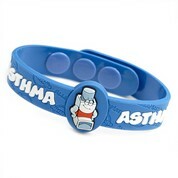 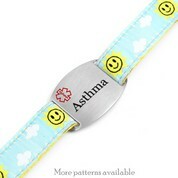 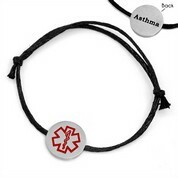 An asthma alert bracelet is a great way to keep yourself and your loved ones safe whenever an asthma attack occurs. 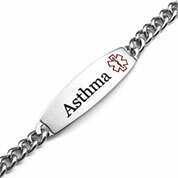 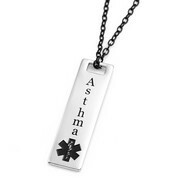 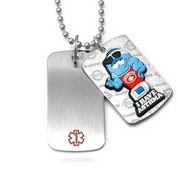 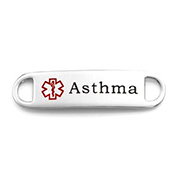 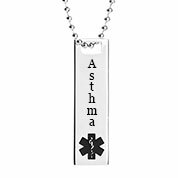 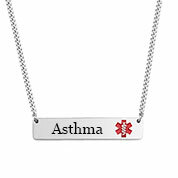 Also to be found on this page are medical alert necklaces and pendants specifically engraved for asthma conditions. 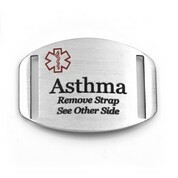 Be sure to engrave specific handling information for when an attack occurs and list emergency contact details.